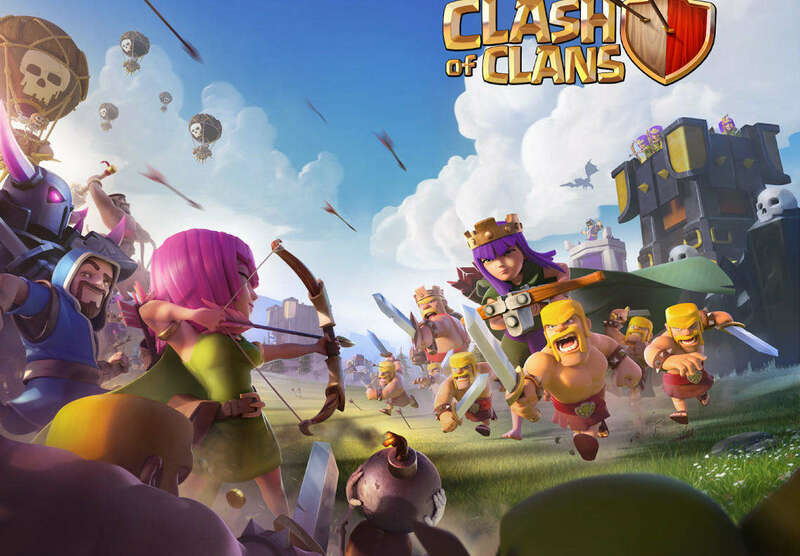 Clash Of Clans is an extensively tested smartphone game available for iOS users. There are times however, some users have run into crashing or not loading issues, like, Clash Of Clans always crashes or doesn't load on iPhone 7/7 Plus/6s/6/5s/5 after initial installation or update. Now here are some self-help steps to try if you are encountering issues. Please read on. First of all, follow basic measures below. If the problem is solved with these steps, then you do not need to follow the ongoing tutorial. Log out of your Google and Facebook accounts and then log back in again. Make sure your Time/Date settings and Time Zone Settings are correct. To check your internet connection from time to time before going to later conclusions. If you find a problem in using data connection, then switch to Wi-Fi connection and launch the game. Most of the time, after a new update of any app, there is often cache problem. So, you can opt to clear old cache and data to fix Clash Of Clans Crashes or not loading issue. To clear cache and data of the game, follow below steps. Step 1: Go to Settings Menu of your android phone. Step 2: Click on Application Manager. Step 3: Swipe right to go to All tabs. Step 4: Scroll down and search for Clash Of Clans. Click on it. Step 5:Click on Clear Cache button and then click on Clear Data button. That's it. Now, go back to the home screen and launch the game. As we all know that Clash of Clans is a heavy game and needs maximum resources. Therefore, stop all the background processes and running apps and then try launching the game. If you are using internet on a public network like school, college or office… it is possible that you connection might be blocked to play this game. So, filter out the network and then launch the game. To check if your connection has blocked port or not, visit http://portquiz.net:9339/. If it does not open, your connection is blocked to play this game. Step 1: Open Settings in your android device. Step 2: Click on "WiFi" option. Step 3: Long press on your connected network, then click on "Modify Network". Step 4: Mark a tick on "Show advanced options". Step 5: Change "IP settings" to "Static". Step 6: Add Google DNS server IPs to the "DNS 1" and "DNS 2" fields as "8.8.8.8" and "8.8.4.4" respectively. Step 7: Save it. Go to Home Screen and then launch the game. Using VPN is one of the most successful solution to fix Clash Of Clans Loading Crashes or Stuck at Screen error. The VPN option is available at "Wireless and networks" settings. If you are still facing Clash Of Clans Loading Crashes or Stuck at Screen error, then last option is to contact Supercell Support Team. You can contact them at [email protected]. That's it for now. If you know any other methods on how to troubleshoot Clash of Clans crashing and not loading on iPhone, leave your suggestion on our official website and we will get back to you as soon as possible.